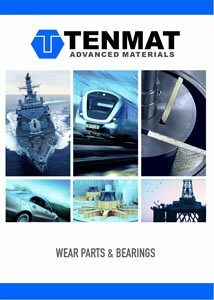 TENMAT high performance bearings are widely used in the offshore industry, supporting oil and gas production around the world. They excel in all sea environment conditions from shallow coastal waters in the tropics to deep sea wells in the North Sea. FEROFORM T814 is the leading bearing solution for replacing metallic bearings with a lubricant free solution for high performance bearings for all types of service conditions, especially in arduous, abrasive offshore applications. The dry running capability of FEROFORM T814 minimizes maintenance requirements. Thus it is ideal for offshore applications such as risers and FPSO turret bearings where maintenance proves difficult and expensive. 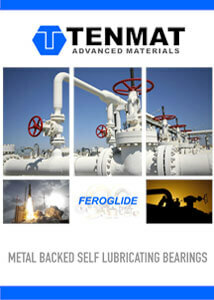 FEROFORM T814 will not seize or pressure weld and may be water, oil or grease lubricated if desired.